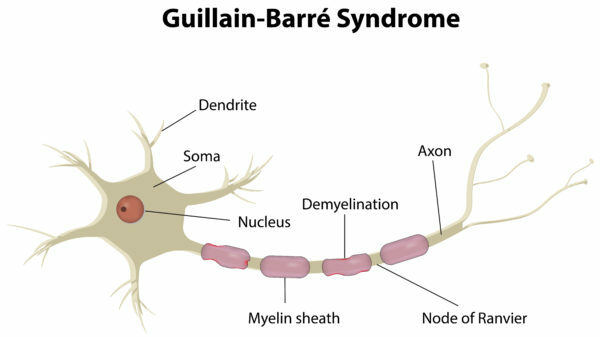 Home Chronic Pain Peripheral Neuropathies: What is Guillain-Barre Syndrome? 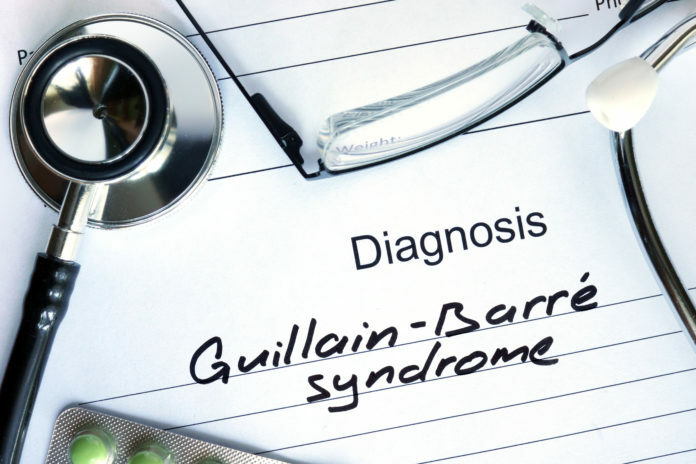 Guillain-Barre Syndrome, also referred to as GBS, can cause paralysis of multiple parts of the body, along with incredible weakness and pain. Often referred to as GBS, the cause of this disorder is unknown, but it’s believed that a trigger related to surgery or illness exists. But what is Guillain-Barre Syndrome, exactly, and how does this autoimmune disorder progress? This rare disorder causes a person’s immune system to attack and damage their peripheral nervous system. The disorder attacks the myelin sheath, which is a fatty layer surrounding the nerves. As the myelin sheath is damaged, it can cause serious problems that affect how the nerves deliver signals to the brain and spinal cord. The nerve damage can slow down or stop the signals entirely, leading to paralysis, weakness, and pain. According to the Centers for Disease Control and Prevention, approximately 3,000 to 6,000 people develop GSB annually. The syndrome affects both children and adults. Most stories of people with GBS begin the same way: the condition’s quick onset can lead to paralysis in mere days or weeks. It usually strikes without warning and develops quickly, and about half of cases begin after a viral or bacterial infection, which can be as common as food poisoning or the flu. Some scientists believe that the infection prompts an autoimmune trigger, causing the patient’s antibodies and white blood cells to attack the myelin sheath of the nerves. This rare disorder is so uncommon that many hospitals are not fully equipped to give a proper diagnosis. Sufferers are often sent home initially with a diagnosis of acute pain or idiopathic neuropathy, or they are referred to a neurologist for further investigation. Because this syndrome is a rare occurrence, it is important that patients advocate for themselves and be persistent when they know that something is not right with their bodies. A GBS diagnosis can usually be confirmed within a number of tests. An ECG, EMG and nerve conduction velocity test are typically ordered to test muscle, nerve and brain function. After these tests, if the doctor is still suspicious, a spinal tap might be administered to look for elevated fluid protein in order to confirm the diagnosis. If GBS is confirmed, treatment will begin immediately. Artificial breathing support may be administered. In the event of weakness to the muscles of the throat and chest, a feeding tube may be necessary. There are also treatments that block the anti-bodies that attack the nerve cells. Plasma exchange treatments remove the blood from the body, separate the white and red blood cells, and return the anti-body-free blood cells back into the body. If this method doesn’t produce the desired results, doctors may try IVIG, or intravenous immunoglobulin therapy, a process that adds immunoglobulins to the blood in large-quantities, to aide in blocking anti-bodies. Blood-thinners, anti-inflammatories and narcotics may also be used to treat GBS as well. Following these treatments, patients may need to participate in physical therapy. It is common for the disorder to disable a patient to the point that they might need to regain the ability to walk, or even relearn something as elementary as how to pick up a spoon.